and wanted a dvd that could capture the special moments that they had spent months planning. With the ceremony done and dusted we ventured into many locations including a rustic italian setting outside a cafe, Port Melbourne beach pier as well as a quick stop on the way to the reception at a winery. Aaron and Belinda were wonderful to work for and loved displaying their obvious affection for each other. As always it’s always great to hear such praises of your work. 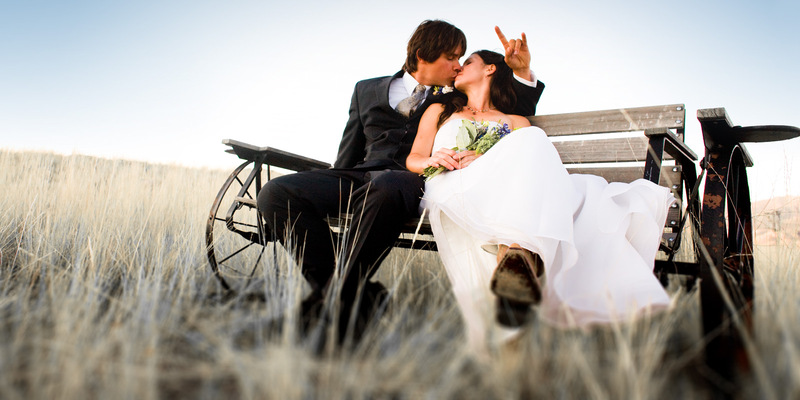 For a lot of couples, their wedding day is probably one of the most momentous occasions they’ll ever experience. This type of celebration happens only once, which is why documenting this important day is very important. While it is true that your wedding will always be in your memories, having a video and photographic documentation of the event will still give you something more tangible to look back on. It will serve as your reminder of how precious your wedding day was. Typically, looking for a good company for your wedding video production should be accomplished during the second quarter of the wedding planning stage. It is important to be hands on during the whole process. It can be quite tedious but looking in business directories can be a good way to start. Asking among your married friends can also be helpful as they might be able to recommend a good video company to cover the wedding. If both of you have the time. You can also try visiting wedding expos because it can be a great venue for video production companies to exhibit their work. Searching on the Internet may also work as there are many production companies who also run their own websites so that they can easily be reached. When deciding which company to hire for your wedding video production, it is important to remember a few things. First, you really have to be personally present when looking for a video company. Visiting the studio is essential so that you can look at their sample works and personally compare them with your other options. Settling for the first company that you find is not a good idea as there may still be a company out there that can offer better deals and services. Plus, by going to the videographers personally, you can talk about many of the details concerning your wedding photos and videos. When looking at the wedding video production samples, it is advisable that you take note of a few things. The most important is of course the quality of the samples. Take the time to observe and watch their sample videos and take note of the audio and video quality. Check the chiaroscuro or the color of the images and make sure that they are vivid and bright. The colors should not be bland as it makes the event look dull. The sounds should be audible and the background music that was used should be appropriate for each event. If possible, take a person who knows about these kinds of things with you so that you can properly assess the video quality. Sometimes, wedding video production companies take cinematography for granted. Most of their films look like slightly improved home videos rather than a professionally done video. When looking for a good company to hire, make sure that their work is cinematic and creative enough. Take note of the editing, the continuity of the shots, as well as the cuts and transitions that were used. The angle of the shots is also essential in order to spice up the wedding video as well as provide more variations to the photos. Neither the bride nor the groom will be aware of everything that happens during the wedding day, mostly because there are so many and they can only really be bothered with one at a time. Having a wedding videographer capturing everything can create a wedding video that includes even the things that the couple did not see. Wedding videos of the past were incomplete, shaky, and just plain bad, so much so that it wasn’t the type of thing you’d be happy to watch over and over. With a professional wedding videographer, you get a high quality piece of work that has all the right angles, and a little bit of flair here and there. A wedding video made by a professional has quality like no home video could ever match up to. A professional videographer will always be prepared. Not because they’re boy scouts, but because they have had experience in the past and know the type of thing that could go wrong: batteries could die, the light could get busted, and the tape could run out. Because of their past experiences with these things, professionals are always ready, so you never have to deal with things like a huge chunk of your wedding missing from the footage because that was when the battery was charging. You get an awesome coverage with the best highlights. People want the entire footage of the wedding day, but they only want to watch the highlights over and over. If you hire a professional to create your wedding video, you get both. You get all the raw footage that was shot that day, as well as a highlight reel that you could even show during the reception. Rather than letting your guests experience the special day that you are sharing with them through a lens, hiring a professional to create your wedding video will allow your special guests and your family and friends to be in the moment with you at all times. Looking at a couple say their I Do’s through a lens is simply not the same as watching them with your very own eyes. Courtney and Matt wanted to capture their special day out of concern that allot of family and friends were interstate and some would not be able to make the event. So it was incredibly important for Courtney to have a video of the day that they could then show to friends and family that were away and have it done properly. Matt and Courtney decided on a Beach wedding down at Sorento foreshore where the couple had spent so many happy times together in the past. The ceremony was beautiful set behind the backdrop of the beach and Port Phillip Bay where we got to find out many funny stories of how the couple fell in love. With DJ Pete behind the helm of the turnatables, the guests enjoyed the rest of the night dancing away. “Thankyou so much for doing such a fantastic job on our wedding dvd – we are wrapped! Your wedding day is probably the most special day that you and your future spouse-to-be will have as a couple, and it is a must that you capture every single moment of it so that you can always look back on those memories. A professional videographer is someone who will be able to cover everything that happens on your wedding day and make the beauty of the moment shine through. The problem with relying on home video cameras is that you do not get the quality and the drama that you would if you were to hire someone who knows what they are actually doing. One of the biggest differences that you will see when hiring a professional videographer for your wedding is the kind of equipment that is being used. Even if it would be feasible for you to rent this kind of equipment, the difference is that a professional videographer would know how to use them. Aside from the cameras that are used, the lighting is also essential. In the past, the lights that were being used by a videographer were harsh and so ruined the romantic mood of the evening. Today, there have been advancements that allow the video use the right spectrum of light for stunning results. Another huge advantage to hiring a professional videographer is that you and the rest of your guests can just relax and enjoy the festivities. The wedding day is a day not just for the bride and the groom, but also for their family and friends to be able to celebrate their union with them. And last but not the least, one of the other reasons that you should hire a videographer is the fact that they have the capability to tell stories. They do it for a living, after all. There is a difference between capturing the moment on film or video, and actually being able to re-tell the story of the day. A professional videographer will be able to tell your story for you through the pictures that he or she will capture during that day. Jiva Workshop is a professional company that makes all sorts of videos for people who need high quality work. Hiring Jiva Workshop means that you trust your special day with people who know what they are doing, are experts on the field, have had a lot of experience, and are capable and want to tell your story for you through the footage that they will capture on your special day. Let Jiva Workshop give you the peace of mind that you deserve on your wedding day. 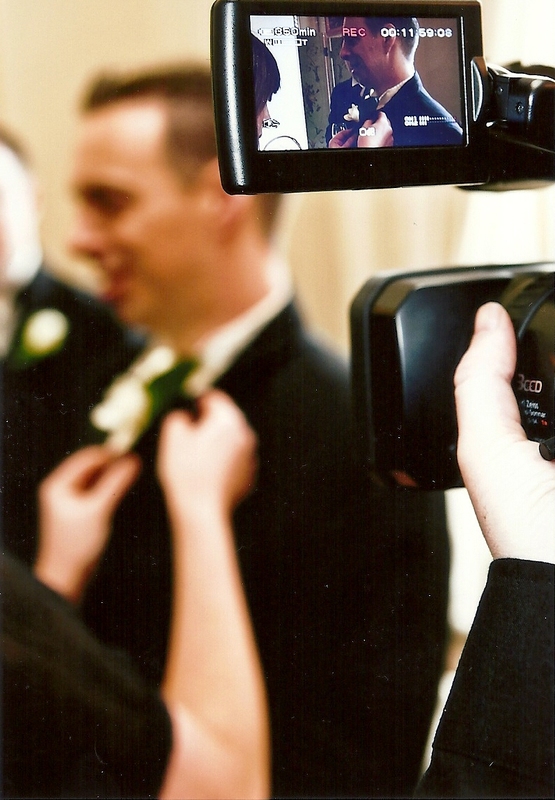 Professional videographers can make or break an entire wedding video production. 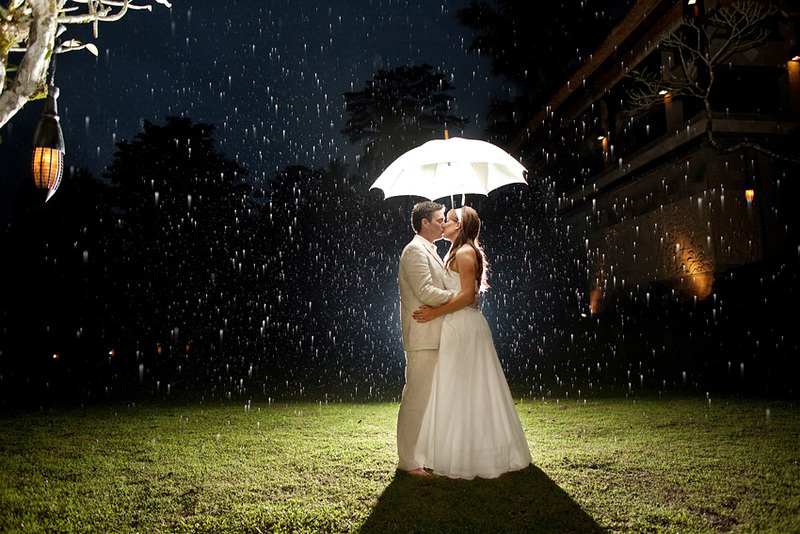 Without them, you will not capture all the action and spontaneous events in your wedding. A well-produced video can give you a complete and everlasting visual memory of how you made your wedding vows to the only person you truly love and cherish. If you want your wedding to become more than just a fleeting moment, you have to look for a videographer who can turn those moments into eternal memories. Once you have chosen a production team that understands the important elements of wedding videos, you can make your wedding day more special than it already is. Here are some of the most important qualities that you must look for in a reliable wedding video production team. Before hiring other people to cover your wedding, you must learn more about their experience in the industry. Ask for demo tapes, portfolios, and all their previous work. Learn more about their style by carefully observing all the videos they were able to produce. If ever they do not want to show you their demo tapes for privacy or other dubious reasons, think twice before hiring them. Their lack of enthusiasm in showing off their previous work can be a telltale sign of their incompetence in the field of producing exclusive wedding videos. Take your time while watching their demo tapes and browsing through their portfolios. This is the only way to find out whether they really know how to cover events well instead of merely taking some good shots here and there. However, always remember that it is normal to stumble upon minor errors while watching a long wedding video production. Exceptional wedding videographers are known for their unique style in producing wedding videos. However, not all styles can meet your particular preferences and expectations. Look for those who are using particular styles that you are most comfortable with. Reality-TV styles will capture every spontaneous and interesting event in your wedding day. On the other hand, wedding videos that resemble documentaries with interviews and voice-overs are also good choices. However, if you want your wedding video to look as professional as it can be, look for a production team that can handle cinematic coverage styles. Competent wedding video production teams also take pride in their capability to communicate well with their clients. They will listen to your ideas and turn them into reality. They can smoothly communicate with their team members in order to make sure that the product of their hard work is far from being mediocre. Finally, they can effortlessly work with wedding guests and other professionals attending your wedding in order to produce a flawless and well-written wedding video. Jiva Workshop’s production team possesses all these characteristics. They promise to collaboratively work with you while offering creative directions for the project at the same time. Their extensive experience in delivering captivating feature films, corporate videos, and wedding coverage makes them one of the leading companies in the industry of producing professional videos. Surprisingly enough, hiring a wedding videographer is not high up on people’s list of important items in the wedding planning process. This is because in the past, wedding videography was not artfully produced. Today, the concept that wedding videos take after is to make the wedding into a feature style motion picture that will portray the wedding as the magical day that it actually was. This needs a touch of style and art that calls for far more than just videotaping the things that are happening under a harsh, bright yellow light. But in hiring the right kind of wedding videographer, there are still some things that you need to ask in order to get a feel for the company and/or the individual that you will be working with. An example of such a concern is the type of equipment that they will be using in documenting the special day. If you are the type of person who does not really have any basis for comparison on this, then you can always bring along someone who knows all about it on the interview. Make sure that they have the right quantity as well as quality, meaning there must be at least two cameras, five lapel microphones, as well as ample lighting equipment. Another concern is that of the past experiences of the wedding videographer. Make sure to ask for examples of past work, and see if you like their style of filmmaking. If it is not to your liking, ask if they can adjust it. If there is no room for adjustment, then you can always look someplace else for a video company that can cater to your needs. Price is a great concern amongst people, especially for couples that are trying to save money even while planning a wedding. If you wish, you can opt for a more modest set up during the day itself. Less equipment means fewer people, which means fewer payments to be made as well. Although, it is possible that you will find a wedding videographer that may not be as experienced, but has great style and matches to your liking, so do not lose heart and keep on looking. Most people like to visit official lists on the Internet as a resource for finding a wedding videographer, but a better way to find one that you will like may be something as simple as asking your friends, family and other trusted individuals if they have anyone that they could recommend. Chances are, if the videographer stood out enough to be remembered even 10 years after the wedding day, then that person will probably be able to give you what you want as well. And last but not the least, look for a wedding videographer that can present to you a same-day edit. This is a new thing amongst wedding videographers, where small portion of the footage of the day will be edited and shown that very same day. As you can imagine, this is quite a challenge, but a real excellent wedding videographer will rise up to the challenge. Getting married is a big decision to make and it requires a great amount of thought and commitment and planning. To many people, it is the most important day of their lives and it certainly is something that should not be taken for granted. Most brides spend a good portion of their time preparing their wedding, addressing each and every minute detail that they can think of. The aforementioned factor is just one of many good reasons why you should plan your video for wedding. Wedding videos are becoming very popular nowadays and are the perfect method of recording your special day. People have always wanted to record their special days and memories in order to be able to remember and relive them with more clarity. Getting a video for wedding is quite a smart investment. You only get married once, if you are lucky, and you have all the reasons in the world to want it to be recorded. Consider all the work that you and your spouse will have to go through to prepare for that special day. You would certainly want it to be properly preserved in the form of video. Getting the proper video for wedding, however, is no simple matter. You cannot simply ask a friend of yours to do it for you as they will not know what to look out for neither will they have proper equipment to capture it properly. It would be much better to look for professionals to do it for you as they have more experience in the matter and will be able to capture that day better than an amateur can. An amateur will not know what to look out for or what kind of shots they should get. A proper video for wedding professional will be able to catch all the important moments and will be able to present it in a professional and presentable manner. Another thing that a good video for wedding professional will be able to do is to edit and polish the video to make the video even more beautiful. Finding the right professionals to capture your video for wedding will not be easy though. There are several of them to choose from and not all of them are what you can consider to be worth the money. Jiva Shop recruits highly-experienced professionals who will surpass your expectations and deliver everything that you are looking for. 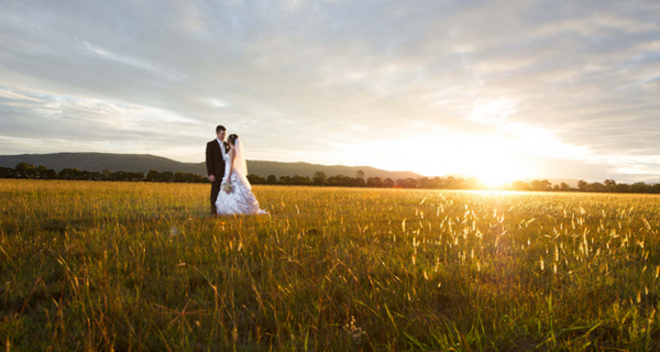 Your wedding will be one of the biggest occasions of your life. Getting a video recording of it should be become a valuable and treasured asset that you will hold dear to yourself for the rest of your life. It will help you remember what you felt on that day and just how happy you had been on that day. Something of this magnitude deserves to be recorded properly so let the professionals at Jiva Shop offer you the peace of mind that you deserve. Daniel & Janelle decided together that they wanted a September wedding with all the elements that drew them together. They decided that Butleigh Wooten in Kew was the perfect venue to host their special day. With the Victorian Mansion serving as a unique backdrop, A highlight of the event was the irish dancers that came out during the ceremony and the reception lunch to dance some traditional irish jigs. The irish dancers were significant for Daniel and Janelle where during their backpacking adventures to ireland that cemented their bond as a couple. Working with Simon who took some fantastic snaps of the couple was a real pleasure. And the verdict of the dvd. One of the things that i love so much about doing wedding dvd’s is the response i get from the couples that have just seen their dvd. Your absolutely welcome Daniel & Janelle.